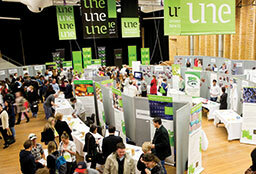 UNE offers visitors and the community a wealth of opportunities to explore our campus and its wonderful facilities and services. 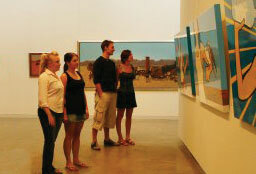 Find out more about UNE by taking a campus tour, exploring our museums and exhibitions or sit in on a public lecture. There's always something happening on campus from public lectures, guest speakers, exhibitions, open days, special ceremonies and more. 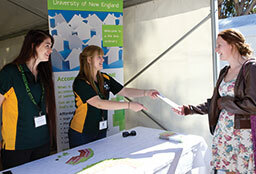 UNE has a range of campus services available to visitors. View our campus maps, parking and on campus facilities information. 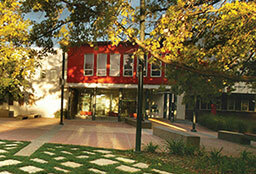 Tour our residences, sporting facilities, libraries, cafes, shops and lecture theatres. Bookings are essential. 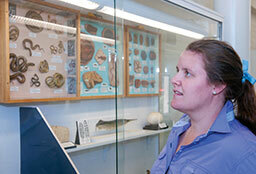 UNE houses expansive museum collections that are open to members of the public including the Museum of Antiquities, Zoology Museum and Museum of Education. 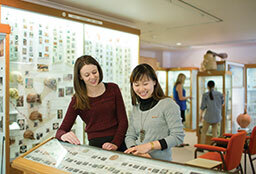 Exhibitions and displays take a number of forms across the campus including art collections, historical exhibitions and international gift displays. There are various collection on displays on and off campus including the UNE Art Collection, NCW Beadle Herbarium and Special Collections. 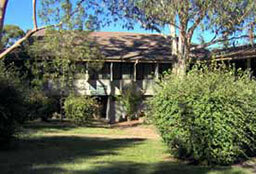 Home to the UNE and Regional Archives, UNERA collections and the Museum of Education. Open to the public Monday - Friday 9am to 5pm. Dixson Library is at the heart of the UNE campus and provides a venue for changing exhibitions of selections from the University's Collections.